Frequency Converter or "chastotnik" is designed to change the frequency of the voltage supply three-phase motor. Besides, it allows you to connect this motor to single-phase network without any loss of power, which is unattainable when using this capacitor. Before the frequency Converter will place automatic switch calculated on a current equal to the rated current consumption of the motor. If the Converter itself is designed to work from a three-phase network, use the special triple machine equipped with a lever that when you short circuit one of the phases was obestochivaete and others. Its tripping current must be equal to the current of one phase of the motor. In case, if the inverter is for single phase power supply, use single machine, designed to triple the current of one phase. In all cases, do not include the machines into the gap zero, or ground wires - connect them to the Converter directly. Do not operate the system without grounding do not use the neutral wire as the ground and Vice versa. Do not operate the machine before completing the connection. Connect the phase wire from the inverter to the appropriate terminals on the motor. The last pre-connect windings "triangle" or "star" depending on which voltage produces itself Converter. 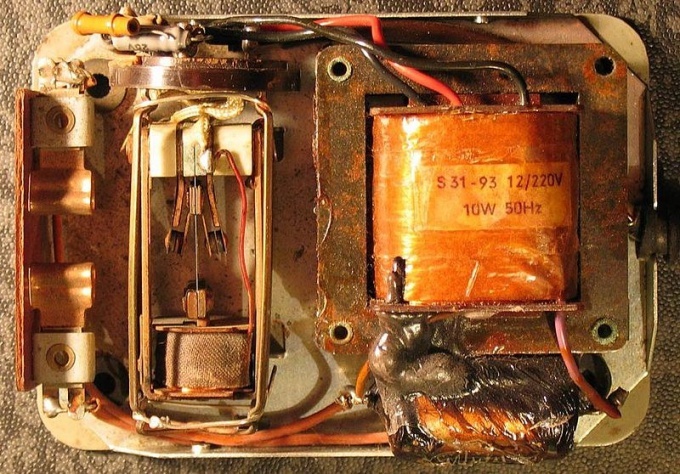 The motor is dual voltage if generated by the transducer corresponds to less of them, use the wiring diagram of the triangle, and if greater, connect the winding "star". The neutral wire to the motor, do not connect at all, and the ground connect with his body. Position the remote control included in the package of the Converter in a convenient location. Connect it to the instrument cable in accordance with the scheme given in the instructions to the Converter. Turn the knob on the remote control to the zero position and turn on the machine. Click on the remote button, and it should be displayed. Slightly turn the handle to the engine slowly began to rotate. If you find that it rotates in the wrong direction, click reverse. Then install the handle to the desired speed. Note that the indicators on the remote controls of many converters do not show the engine speed in revolutions per minute, and the frequency of the supplied voltage in Hertz. At lower frequencies, they automatically reduce the voltage to prevent burning out the windings. Do not operate the machine before completing the connection. Do not work under tension. Beware of interacting with any moving parts.